Home » Food » Travels in Beer: Harrisburg, Bavarian breweries collaborate, innovate–and you can taste the result. Travels in Beer: Harrisburg, Bavarian breweries collaborate, innovate–and you can taste the result. Sure, you know pilsner. It’s that watery stuff stocked in beer coolers every Super Bowl Sunday, right? Now, a flavorful pilsner and an Oktoberfest beer steeped in Bavarian tradition are on tap in Midtown Harrisburg, while a 160-year-old German brewery prepares to launch an IPA to a cautiously curious market back home. All are products of a two-way collaboration between the Millworks Brewery and Keesmann Brewery of Bamberg, Germany. It all started with Millworks owner Joshua Kesler. Ancestry-wise, Kesler is typically American—“a little bit of this and a little bit of that,” he said. Through a friend in Germany, Kesler met Stefan Keesmann, owner of Keesmann Brewery in northern Bavaria. Kesler (German translation: “cheesemaker”) suggested a brewing and cooking collaboration to Stefan and his son Lukas Keesmann (also “cheesemaker”). The Keesmanns had entertained similar thoughts. Thus, Stefan and Lukas Keesmann came to Harrisburg for a consultation in early July. Kesler and Millworks brewmaster Jeffrey Musselman returned the favor and ventured to Germany later in the summer. Putting a Millworks spin on a classic German pilsner included dry hopping a newish German hops called mandarina Bavaria, for a “marriage between an old-school pilsner but also using a hop variety that’s relatively new and more pleasing to the modern American craft drinker,” Musselman said. The German purity law, the Reinheitsgebot, decrees that only beverages brewed with barley (or wheat), yeast, water and hops can be called “beer.” A malty imperial stout tastes nice, the Keesmanns told Kesler and Musselman, but it’s not beer. “If you drop a cherry in it, you can’t call it beer,” said Kesler. Musselman certainly loves the American arms race for the craziest tap in town, but his Germany visit affirmed the Millworks philosophy of beer as social catalyst. American beer is deeply rooted in German traditions and techniques, brought to the New World by early immigrants. By the mid-19th century, the city of Lancaster earned the nickname “Little Munich” for its profusion of breweries catering to German-Americans thirsty for home-style lagers instead of English ales. Prohibition and post-World War II industry consolidation severed many of those ties. Today’s American brewers can learn a thing or two from their German counterparts, said Farber. The United States is poised to reach 7,000 breweries this year, with two opening per day since 2012, and an emphasis on quality is now sharing priority with the rush to innovate. “There’s such great attention to the technical aspects of brewing in Germany,” Farber said. 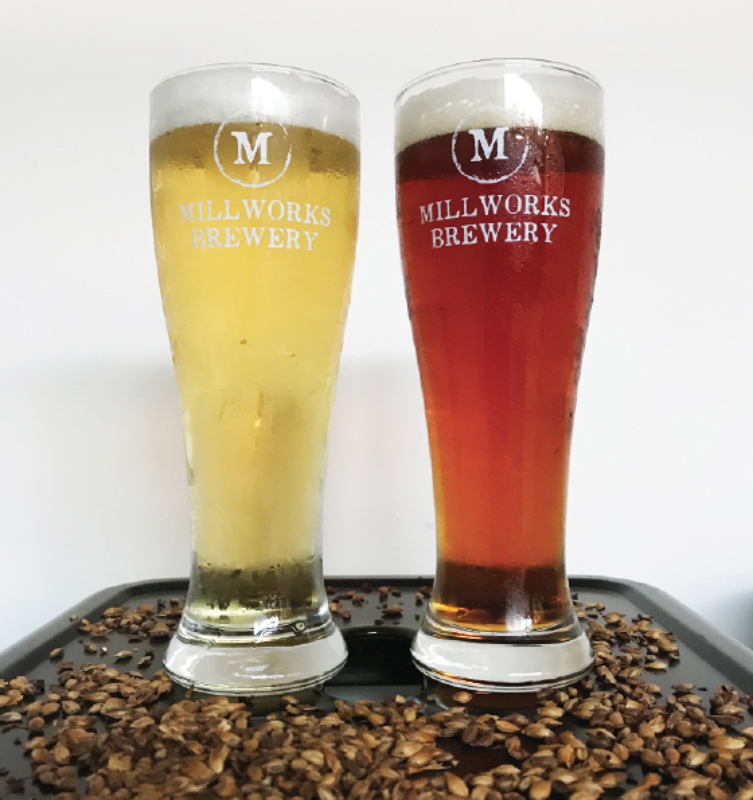 That combination of German tradition and American innovation now is also on tap at the Millworks, which recently released its Oktoberfest, a beer actually closer to a German springtime marzen. In Germany, new beers encounter skepticism, and yet, brewers must innovate incrementally to differentiate in a market where all brewers make the same products with the same ingredients, under the same rules. Younger Germans are “picking up this IPA bug” in their travels, Kesler said, and American craft brewers are making inroads in the market. So the Keesmanns weren’t cautious about collaborating, but they were taking a risk. 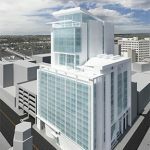 They approached the collaboration “trying to figure out what type of American-style microbrew would resonate with their very traditional customer base,” Kesler said. The Keesmanns told Musselman they wanted to brew an IPA. The resulting New England IPA will reach German stores and restaurants next April. Juicy in taste and hazy in appearance, it allows Keesmann to reach that younger demographic while hewing to German brewing traditions. And because Keesmann Brewery, like the Millworks, is food-oriented, the collaboration brings new dishes to each establishment, Kesler said. German dishes on the fall menu pairing with Millworks’ Oktoberfest include a schweinshaxe. That visit also will go both ways, as the Keesmanns return to Harrisburg in March to help create a to-be-determined beer. 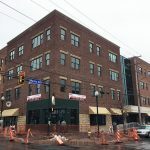 Aiming for release with the Millworks’ rooftop beer garden opening on May 1, Kesler welcomes suggestions for the new beer’s style. Farber knows of just a few other intercontinental collaborations, one being between the 2SP Brewing Co., in Delaware County, Pa., and a brewery in Japan, where there are “some interesting trends.” He also noted that Sierra Nevada collaborated with the world’s longest-operating brewery, the Bavarian Weihenstephan, to produce its Braupakt hefeweissbier. Musselman and Kesler hope to make the initiative a regular effort, with each team regularly crossing the ocean to swap brewing and culinary notes. Musselman, for one, is wondering about his hefeweizen, declared good by the Keesmanns, but not a true German hefeweizen. “There absolutely is a lot to learn to really dial these beers into the German tradition,” he said. The Millworks is located at 340 Verbeke St., Harrisburg. For more information, visit www.millworksharrisburg.com. Previous Post Culture Club: Telugu Association is dedicated to beautiful language, good deeds.